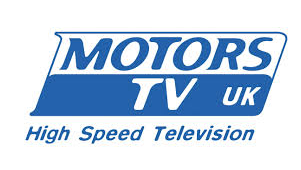 Motors TV has secured a deal to make its service more widely available on Freeview - and for the first time on YouView from 9th October 2014. On Thursday, the channel - Freeview's first dedicated sports channel since Sky Sports News was removed in 2010 - will launch on Freeview and YouView in standard definition on channel 71, available to viewers who have a YouView box or Freeview HD compatible device. The move follows a seven month trial of the service on Arqiva's Connect TV service, which made the service initially available to compatible Freeview devices connected to the internet. While the service via channel 240 boosted audiences by over 400%, the expansion will make the service available to more viewers without the need for a compatible connected Freeview TV. Depending on the type of Freeview device used, viewers may need to retune on Thursday to add the new channel. YouView boxes as well as newer Freeview HD TVs will add the channel automatically. Unlike the internet delivered service on 240, viewers will be able to pause, rewind and record programmes on their YouView box or Freeview+HD PVR. The service will not be available to viewers with standard definition Freeview TVs or equipment or HD Ready TVs that do not support Freeview HD channels. Effectively, it is YouView viewers and viewers with older Freeview HD boxes that don't support the existing streamed service on channel 240 that will benefit from the launch on channel 71. a516digital understands that the Motors TV service will run on the "COM7" multiplex, so viewers who can receive channels such as BBC Four HD on channel 106 will be able to view the new Motors TV service. Motors TV’s free-to-air service is expected to start around 11:00 this Thursday. It will initially be available 24/7. At a later, currently unconfirmed date this will switch to 20:00 – 05:00 on weekdays while remaining on air 24/7 during weekends (Friday 20:00 – Monday 05:00). Sky, Virgin Media and connected-free-to-air output (which continues on channel 240) will remain unaffected. “The Arqiva Connect TV trial proved there are far more motorsport viewers out there than were originally watching on our other platforms,” he said. “From the start we saw it as a stepping stone and the fantastic response has given us the confidence to continue expanding. Plus, many more potential viewers have also been very vocal on social media about wanting to receive the channel via Freeview HD and YouView. Well, this is the result! “For the first time ever terrestrial TV viewers can watch the widest range of live motorsport coverage in the UK, as well as world championships, international and national series, and the sort of grassroots categories that are already enjoyed by thousands of fans across the country.